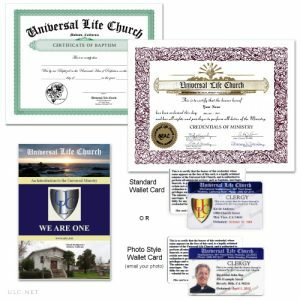 The Universal Life Church is an advocate of religious freedom and offers legal ordination to become a minister free of charge. 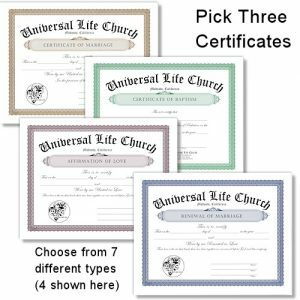 The Universal Life Church offers legal ordinations to become a minister, free of charge. 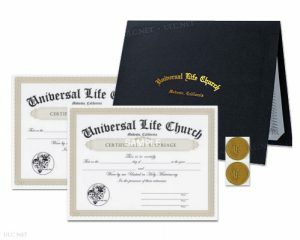 As an ordained minister of the Universal Life Church, you can officiate weddings, funerals, baptisms and perform other functions of the clergy. We are a church for anyone. ULC ministers come from all walks of life and spiritual traditions. It doesn’t matter where you are from or where you have been – there is something for everyone at ULC. 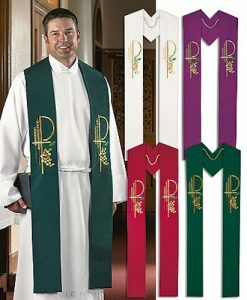 We invite you to become an ordained minister of our church, and to join our online communities. Celebrate truth, wisdom and religious liberty with us as part of the original and genuine Universal Life Church family. 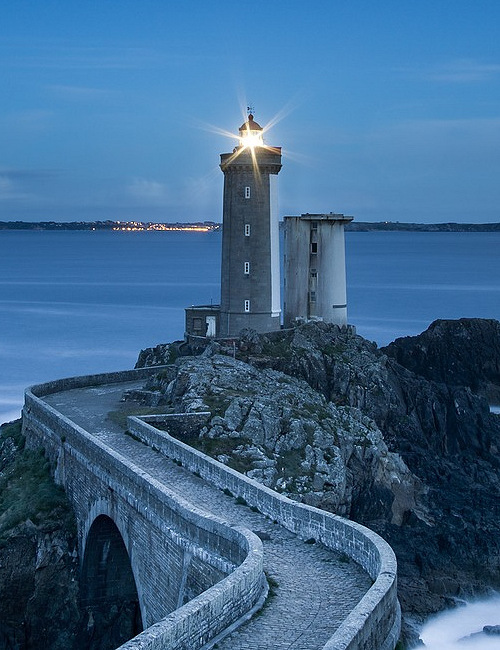 Become a legally ordained minister for life, without cost, and without question of faith. Is there a directory listing of ministers? What titles can I use? 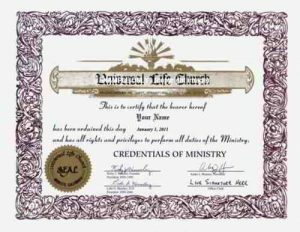 Is my ordination legal in my city/state? What are the official ULC websites? What is my ordination date? What is the status of my ordination? 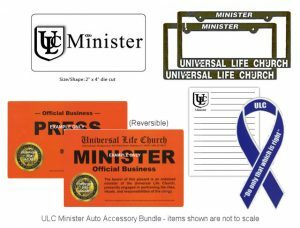 © 1997 - 2019 Universal Life Church Online. All Rights Reserved.